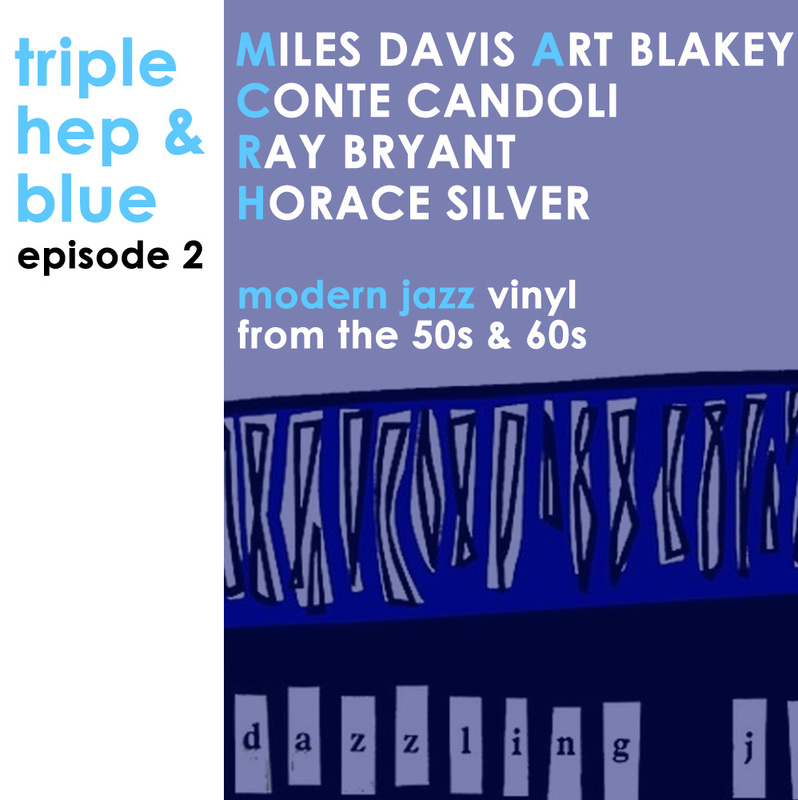 In episode two of the Triple Hep and Blue podcast we checked out the ‘Dazzling Jazz‘ compilation album. Released sometime in the 1950s, the album features some of the top modern jazz performers of the time. The record has a hard-bop feel to it and is an excellent reflection of the superb jazz produced at that time. From the album we dug sounds by Miles Davis, Horace Silver, Art Blakey and Conte Candoli. Want more great jazz vinyl sounds? Sign up for the Triple Hep and Blue newsletter! Hey hepcat, leave a comment!